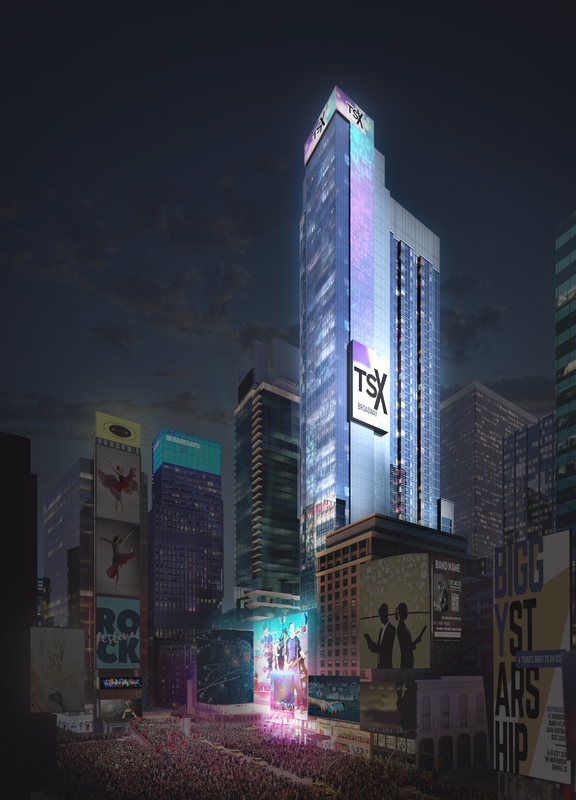 A year after renderings were released and three years after the project’s approval by the Landmarks Preservation Commission, L&L Holding Company, Maefield Development, and Fortress Investment Group have revealed plans for TSX Broadway at 1568 Broadway, beginning with the demolition–planned for this winter–of the existing 1,700-seat landmarked Palace Theatre, which will be replaced by a 46-story tower with 550,000 square feet of retail and entertainment space. 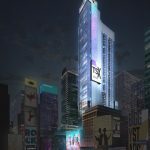 The theater will be elevated 30 feet and secured within the new building and will be completely renovated, after which an entirely new structure containing a 669-key luxury hotel will be built around it. 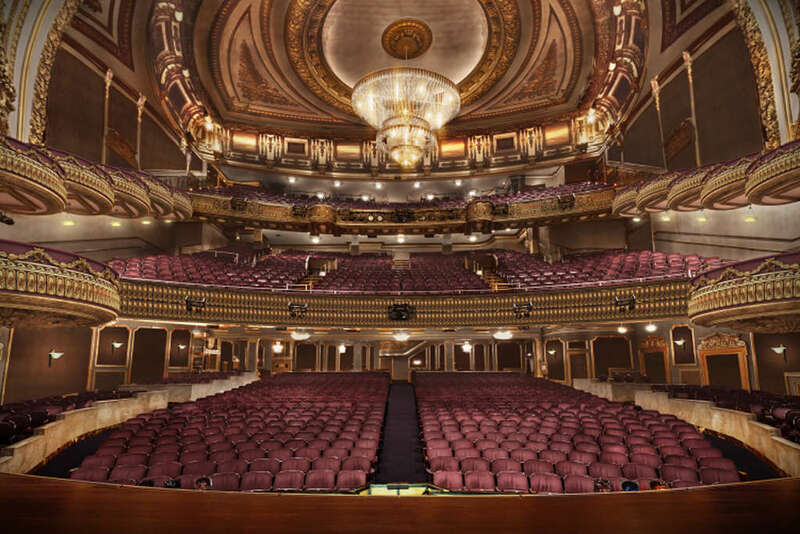 Originally designed by Milwaukee-based architects Kirchoff & Rose in a baroque, Beaux-Arts style, the Palace Theatre served as the country’s biggest vaudeville venue between 1913 and 1929. Approved by the Landmarks Preservation Commission in 2015, the project will be designed by Platt Byard Dovell White Architects (PBDW) and Mancini Duffy. 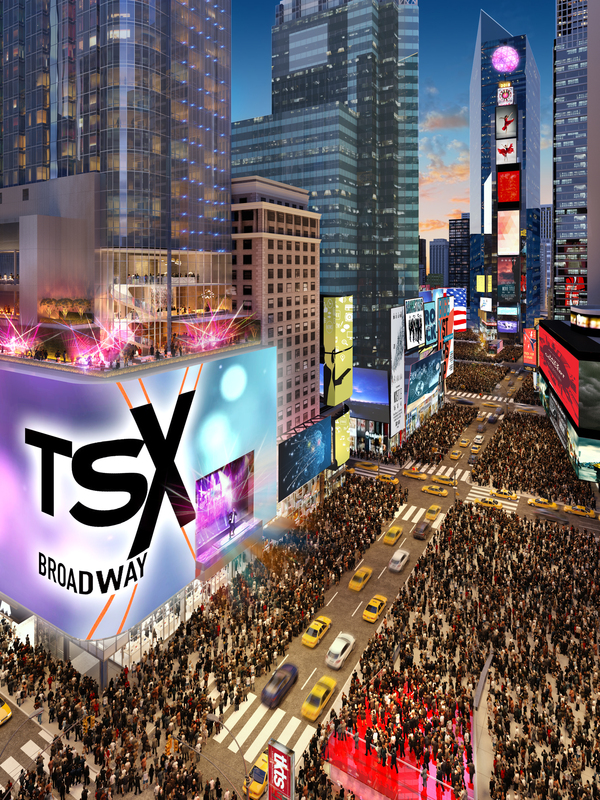 A new exterior entrance and 80-foot-long marquee on 47th Street will be added. 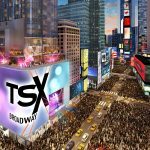 The structural team that successfully moved the Empire Theater on 42nd Street in 1998 will be overseeing the Palace Theatre’s move. 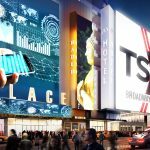 The $2.5 billion project intends to entice the titans of the 21st-century digital economy to an evolving Times Square. According to Crain’s, Amazon, Facebook, YouTube, Samsung, Chinese e-commerce company Alibaba, Disney and Walmart have shown interest in the site. In addition, the building will offer dedicated retail, food and beverage and hospitality spaces. 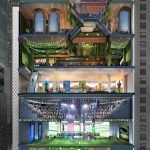 Flexible retail space measuring 75,000 square feet will anchor the first ten floors, with 15,000 square feet on the ground floor. Also in the plans is a 10,000-square-foot outdoor terrace, part of a 30,000 total square foot dining destination. 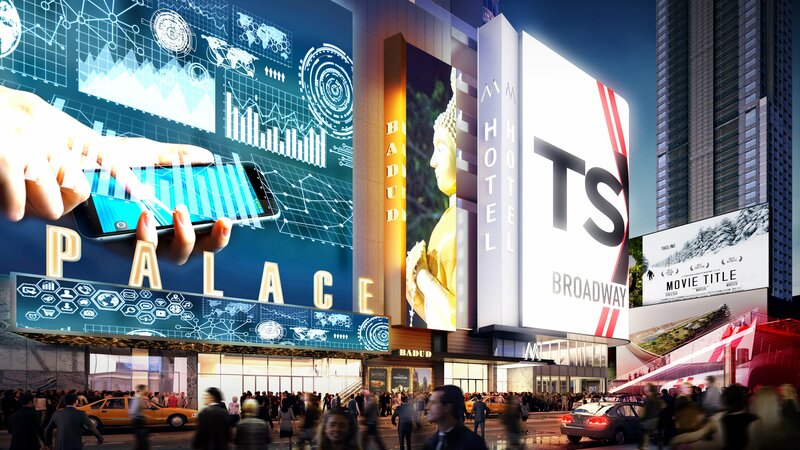 The hotel will feature direct views of Times Square and floor-to-ceiling glass windows. 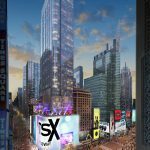 Thirty “Ball Drop Suites” will be positioned to view the festivities on New Year’s Eve. Construction is expected to be finished by 2021.